Next: Art & Soul Wins Margarita Wars! 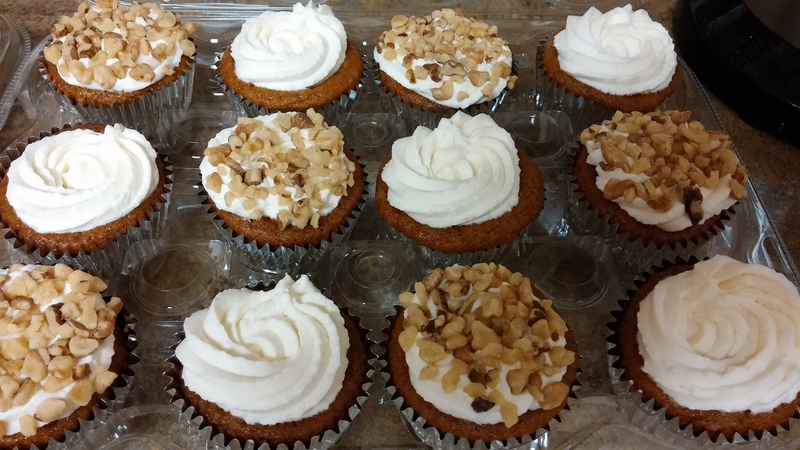 Carrot Cake Cheesecake Cupcakes with Mascarpone Whipped Cream! Everyone loves cupcakes. Yes, everyone. Even if you don’t really like the cake itself, the idea of a cupcake is whimsical, fun, and special. Especially here in DC, there seems to be a huge cupcake craze. People wait in multi-hour-long lines just to get their hands on some of these individually-sized mini cakes. You see those layers? From the bottom, up, you’re seeing a layer of carrot cake, a layer of cheesecake, another layer of carrot cake, mascarpone whipped cream frosting, and toasted walnuts to top it all off. Cool right?! I was pretty happy with how they came out. And you can totally make them too! There are more steps to these than the average cupcake since there are two types of cake and layers. But it really makes for an awesome cupcake. Worth the effort, I promise. This recipe makes 4 dozen cupcakes. Feel free to 1/2 it or event 1/4 it if you want to make fewer! I advise making extras though…you’ll thank me later. Step 1: Get your carrots cookin’. I use a steamer basket. Place this in a large pot, put in just enough water so that it comes up right below the steamer basket holes, and put the carrots in. Turn the burner on medium-high heat and cover the pot with a lid. Allow the carrots to steam until they are soft when poked with a fork. This will probably take about 25 minutes. Once they’re done, remove the lid and allow them to cool a bit. Removing them from the pot will help them to cool faster. Then, put them in a blender or large food processor and puree them until they’re totally smooth. I used a spatula to scrape the sides down a few times. When they’re finished, the carrots will be the consistency of canned pumpkin. Set this aside. Step 2: Preheat your oven to 375 degrees F. From your fridge, take out the cream cheese, sour cream, eggs, and applesauce so that they can come to room temperature. Line a baking sheet with parchment paper. Spread the walnuts out on it and toast them for about 10 minutes, or until they’re fragrant. Remove them from the oven and set them aside to cool. Turn the oven heat down to 350 degrees F.
Step 3: I like to make the mascarpone whipped cream before the cucpakes so that it can chill in the fridge while you make the cupcakes. Do this in 2 batches. In a large bowl, place 8 oz of mascarpone cheese, 1 cup of heavy cream, 1/4 cup granulated sugar, and 1/2 tsp of vanilla extract. Using an electric hand mixer, beat everything on medium/high speed until very stiff peaks form. It doesn’t take long, maybe about 5 minutes. Step 4: Cut a hole in the corner of a plastic bag. Then put in a large star baking tip. I like to secure it with some painters tape (or any tape). The tape should never touch the frosting of course, just on the outside of the bag. You’ll want another one of these for the second batch of the whipped cream. So, if you have 2 star baking tips, go ahead and set up 2 bags. If not, you can just refill the one bag as you frost. Scoop your whipped cream frosting into the bag inside the cup. It should all fit in there. Seal the bag and put it in the fridge (cup and all). Step 6: Repeat this process with the remaining 8 oz of mascarpone cheese, 1 cup heavy cream, 1/4 cup granulated sugar, and 1/2 tsp vanilla. Keep the frosting in the fridge until you’re ready to use it. This will allow it to chill and firm up, making it easier to pipe on the cupcakes in the end. Now, back to the cupcakes.. Step 7: For the carrot cake, in a medium bowl, whisk together the flour, baking soda, baking powder, salt, cinnamon, and nutmeg. Step 8: In a large bowl, measure in the 1 cup granulated sugar, 1 cup brown sugar, 3/4 oil, 3/4 cup applesauce, and 2 tsp vanilla extract. Step 9: Whisk it all together (you can use the same whisk that you used to whisk together your dry ingredients earlier). Step 10: Add the 4 eggs. Side note: there are lots of recipes out there that tell you to add each egg one-at-a-time and mix after each addition…but…I never do that. I’m sure there is a scientific explanation for why people do it that way, but I’m too lazy / don’t see the point. So, go ahead and crack all 4 in there. Step 12: Switch to a rubber spatula. Add in your dry ingredients. Carefully fold in the dry ingredients until the mixture is just combined and no more flour streaks remain. Step 13: Onto the cheesecake batter: In your mixer, combine the 4 blocks of cream cheese, granulated sugar, and sour cream. Beat on a medium speed until it’s all well combined. I stopped the mixer once to scrap down the sides. Step 14: Add in the 4 eggs and vanilla extract. Beat again until fully combined and homogeneous-looking. If you don’t have these, you can use spoons. The small scoop portions out about 2 teaspoons of batter, and the medium one is about 1 1/2 Tablespoons (which is 4 1/2 teaspoons). Gently shake the pan around a bit to level out the batter, or use the back of a spoon. Use the back of a spoon to jiggle the batter around so that it’s smooth and evenly covers the carrot cake. Use the back of another spoon to smooth this out over the top. Step 20: Position your oven shelves so that they’re roughly in the top third and bottom third of the oven (assuming you have 2 racks). In my oven, the bottom shelf is on the 2nd-to-the-bottom spot, and the upper rack is 2nd-to-the-top. Bake the cupcakes in your preheated oven for 20-25 minutes. I bake 2 dozen at a time, one dozen on each shelf. If you do this, rotate them about 10-11 minutes into baking. If you’re only making 1 dozen, place it on a center rack for the entire time. Step 21: You’ll know they’re done with the tops are no longer wet, and the cake lightly spring back when you gently touch the top with your finger. Remove them from the oven and cool them in the cupcake pan for about 2 minutes on a wire cooling rack. Then, remove the cupcakes from the baking pan and allow them to cool completely on the wire rack. The tops will sink in a bit– that’s because of the cheesecake layer in the middle. That’s ok.
Oh yeah, you’ll see a few cupcakes in that picture with Oreos on them. I had a little bit of extra cheesecake batter. So I made 4 Oreo cheesecakes. To do this place half an Oreo in the bottom of the cupcake liner (as the crust), then add cheesecake batter, then top with the other half of Oreo. It’s an Oreo cheesecake sandwich, if you will. Step 22: Repeat the layering/baking process until you’ve baked all of your cupcakes. Step 23: When the cupcakes are completely cool, you can frost! Take your whipped cream out of the fridge. I frost by starting with the tip in the middle, swirling around the outside, and ending on the edge. Press down very lightly as you release the pressure from the bag. Step 24: Top with walnuts. Lay out some walnuts in a thin layer on a plate. Take the cupcake, turn it upside-down and lightly press the frosting into the walnuts. Turn the cupcakes back upright. Step 25: If you aren’t serving these right away, store them in an airtight container in the refrigerator until you’re ready to eat them.  I used my Fetching Foodie stamp to brand them, see? Voila! I hope you enjoy!! I’m thinking about doing a similar process with other types of cake…maybe some chocolate cheesecake cupcakes, lemon cheesecake, strawberry cheesecake….